If you’re interested in designing and marketing your 3D designs, here are some things to consider. Topics have been sorted and organized into the Popplet shown below. I’ve included the links below to sites I’ve set up for marketing my designs. My business name is She Tinkers In 3D. This is currently a work in progress, which I am building this summer. 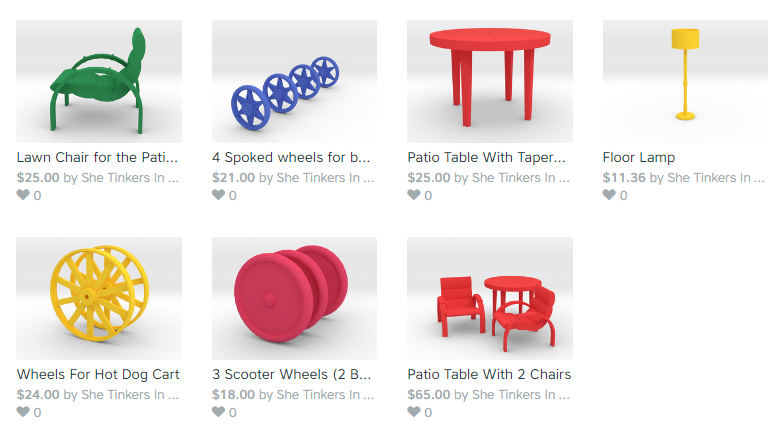 Below is a screenshot of a virtual store from Thingiverse.